Katherine Jackson testified that her son, Michael Jackson, took care of her every need. Her two day, tearful averment conveyed her shock and disbelief upon learning of Michael Jackson's death on June 25, 2009. She said, "Everything went dark and I just started screaming." Now, four years later, for the past five months, the matriarch of the Jackson clan has traveled to a downtown Los Angeles courtroom to make sure that every need of Michael Jackson's three children is addressed. 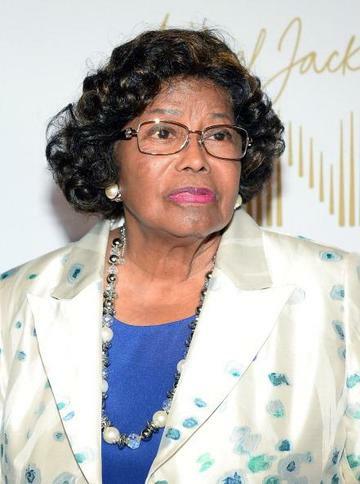 Katherine Jackson, at 83 years old, has led the fight to hold someone financially liable for robbing Prince, Paris and Blanket of the opportunity to grow up with their father, who happens to be the greatest entertainer of all time. Conrad Murray was found guilty of involuntary manslaughter and thus, held criminally liable for Michael Jackson's death in November 2011. He was sentenced to the maximum penalty allowed under the law - four years imprisonment. However, Murray is receiving an early release in October because of good behavior and a overfilled jail system. Despite enduring three months of a media frenzied criminal trial wherein Michael Jackson's fans from around the world descended on a Los Angeles County Superior Court, Katherine Jackson was still searching for answers about Michael's death. Therefore, she filed a wrongful death lawsuit against AEG Live, the promoter of Micheal Jackson's "comeback" tour - This is It. As the primary plaintiff, with her grandchildren, Prince, Paris and Blanket also named as plaintiffs, she took the stand and told AEG's lead attorney Marvin Putman, " I want to know what really happened." As I sat with my sista-friend on June 25, 2009, in her Hampton summer retreat, discussing that morning's news of Farrah Fawcett's death, we were floored when the news story shifted to unconfirmed reports that Micheal Jackson had been rushed to a Los Angles hospital and presumed dead. The question that dominated our discourse, and the question that we posed to our news/media friends covering this breaking news was "What happened?" Consistent with the manner in which Michael Jackson lived, there's been a mystery hovering over many aspects of his death. 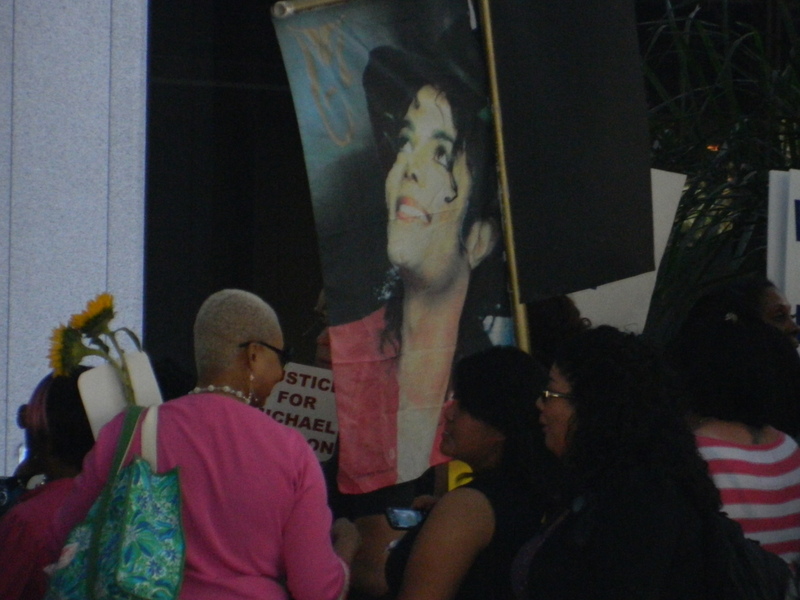 Prior to the Katherine Jackson vs AEG Live trial, we continued to ask the question, "What happened?" The lofty aspiration of any trial is to seek the truth and that appears to be Mrs. Jackson primary, albeit not sole, goal. Had Mrs. Jackson not fought to bring the matter before a jury, it is very likely that this mother may have never learned of the circumstances surrounding her son's death. The Katherine, Prince, Paris and Blanket case against AEG Live is nonetheless a civil suit and therefore, the case is about money - not just about questions and answers. As the guardian of Prince, Paris and Blanket, Mrs. Jackson is responsible for providing for her grandchildren's well-being. What loving grandmother wouldn't want her grandchildren to live the same quality of life they would have experienced had Conrad Murray not killed their father? Evidence during this trial has shown that Michael Jackson's debts were enormous, upwards to $400 million. It has also been reported that Michael Jackson's estate has amassed over $500 million since his death in 2009. Many proffer that Michael's estate is far from "in the black" due to a recent IRS $702 million tax bill. Others report that Micheal Jackson's estate has the means to satisfy all of his outstanding debts and the IRS tax bill wont stand up. The executors of Michael Jackson's estate may be only people who really know what Mrs. Jackson and her grandchildren will require to live their lives in the manner to which they were accustomed prior to Micheal's death. For those of us who watched Michael's "This is It" movie, it appeared that leading up to his untimely death, Michael was back in top form and was once again making magic that would have impacted the world. The footage of Micheal Jackson portrayed him healthy, excited and strong. The movie showed his movements crisp, his voice sharp and his creative vision - mind-boggling. Yet, the indisputable evidence presented in this trial has shown that Michael Jackson's health was deteriorating, his confidence wavering, his anxiety mounting and his abilities faltering. Pictures of Micheal Jackson, just days before his death, show a smiling Michael who was a shell of himself - emancipated. Most compassionate observers feel sympathy for what Mrs. Jackson has experienced. An older KTLA female viewer, with a heavy Russian accent asked me to tell Mrs. Jackson that her heart "bleeds for her". As a legal analyst and journalist covering the trial, my charge to present a fair, unbiased account of the proceedings cannot erase my sympathy and respect for Mrs. Jackson. My vocation must make room for my humanness. I feel for any parent who buries a child. I feel for any parent left in the dark about her child's final hours. I know personally the anguish, anger and despair of suddenly losing a beloved family member without having the opportunity to say "thank you" and "I love you". Although I pray for comfort, peace and closure for Mrs. Jackson when a verdict is finally rendered, I am in no way suggesting that AEG Live is liable for the wrongful death of Micheal Jackson. As clearly as one can see Michael's genius, compassion and unparalleled talent, it is glaringly obvious that Micheal Jackson had an addiction. Some have argued that his compulsion for perfection and desperation for a successful This Is It tour could have contributed significantly to his death. The matters of negligence, damages and liability are topics about which I shall not opine. The decision will be in the rightful hands of the jurors very soon.